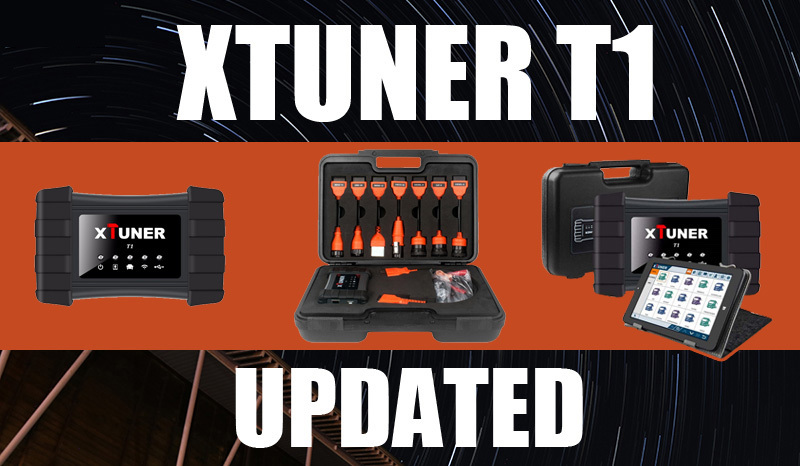 A great news from Xtuner here, We released the new version of Xtuner T1 setup recently. The new version support the new serial number of XTUNER-T1. Users can download from our XTUNER T1 software center. XTUNER T1 Heavy Duty Trucks Auto Intelligent Diagnostic Tool is new professional Diesel scan tool. with it’s professional design, the Xtuner hardware features in stability and anti-interference. The built-in over-voltage protection module is able to protect scanner and vehicle against accidental damage during checking.XTUNER T1 support both USB and WIFI connection for the VCI, provide you great convenient in diagnosing Heavy duty trucks. Free update online. Xtuner T1 is new Heavy duty PC-to-vehicle diagnostic interface compatible with multiple software applications, it is available to diagnose most of heavy trucks, Buses, Grabs, Cranes and Engineering Machines for minimizing your investment in multiple brand-specific diagnostic interfaces. Why choose Xtuner T1 from us? 1.100% Original Xtuner product with 1 year free update. 2. Professional pre-sale and after-sales technical service. ● Supply USB and WIFI connection for the VCI. ● New software update on the internet. ● Can work well and stably in high and low temperature environment. ● The genuine Windows XP/7/8/10 operating systems allows for more stable performances, better compatibility and expandability. This entry was posted in XTuner T1 and tagged Xtuner, XTuner T1, xtuner t1 heavy truck.